Please bear with me this week as some guests from Colorado arrived today. A mandatory first day eating stop is at a well-known secret. Jimmy Cantlers Riverside Inn outside of Annapolis is a waterfront Maryland Crab House. A family run crabhouse for the past forty years has been written up in Southern Living, and Gourmet Magazines. While waiting for our seafood extravaganza to arrive. I walked down to the sloughing tray area. Our wonderful seafood meal arrived. 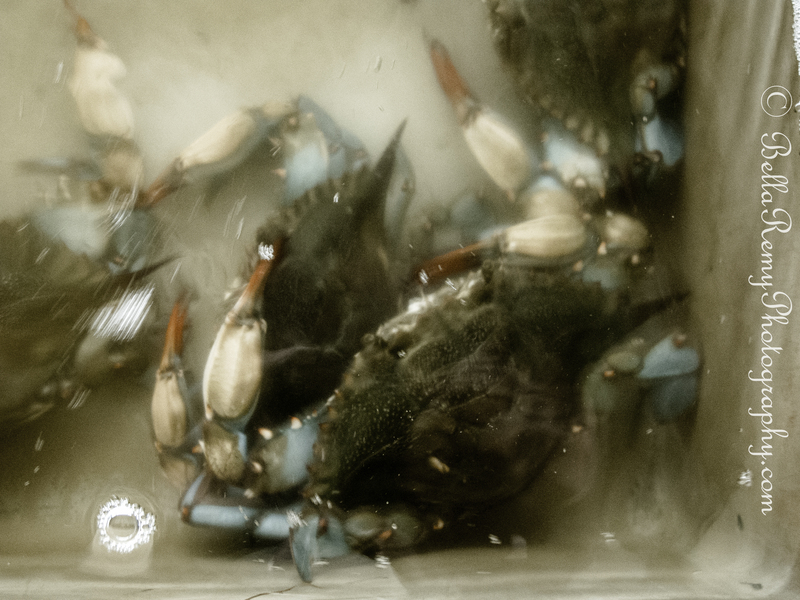 Maryland Steamed Crabs – extra large – that actually came from North Carolina. 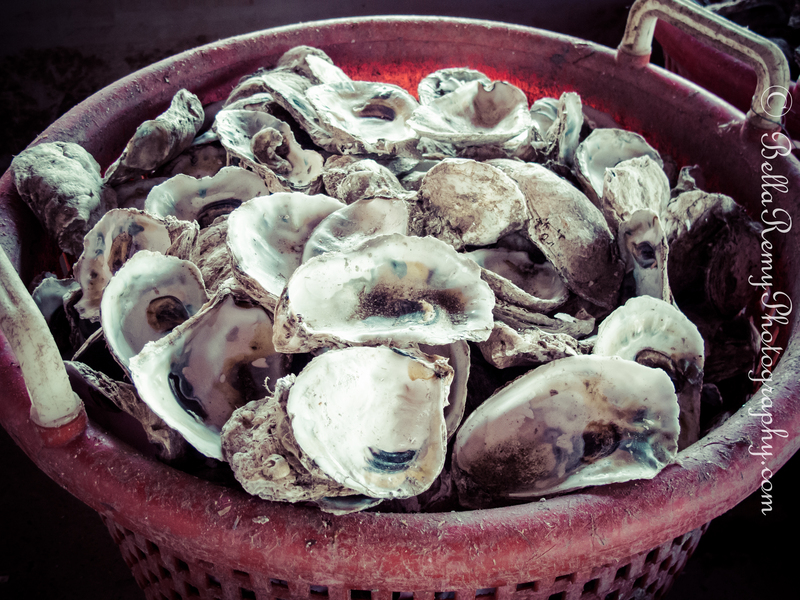 Raw oysters on the half shell from Virginia. Soft Shell Clams also known as Ipwich or spitting clams from the bay, jumbo shrimp, crab dip and mussels from Maine. 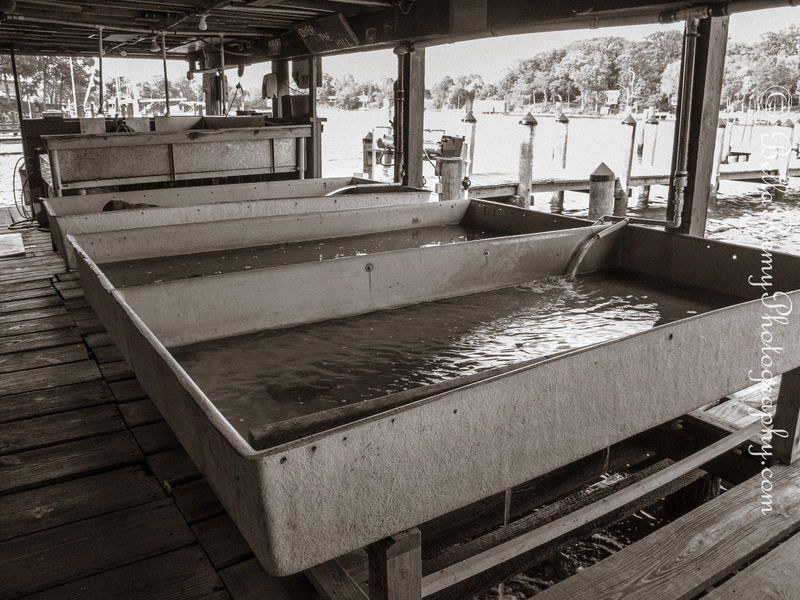 These oyster shells are used to create new habitats for new oyster beds. It was a wonderful evening on the bay and the weather was picture perfect. Update on Mother Goose – she is still on her nest, waiting for her babies. We saw the remnants of a shell outside of the nest. It was the dark brown one that I thought was perhaps bad. I hope you have a wonderful week. I’ll make time to share my adventures for this week, but will need to catch up on reading next week. Thank you so much and keep blogging! You live in a beautiful area!!! My visitors from Colorado kept saying how beautiful it is here. You’re right! The food in waiting looked good, your other photos even better. I hope you have a wonderful time with your visitors. I enjoyed reading abut the horseshoe crab. I had never heard about it before. 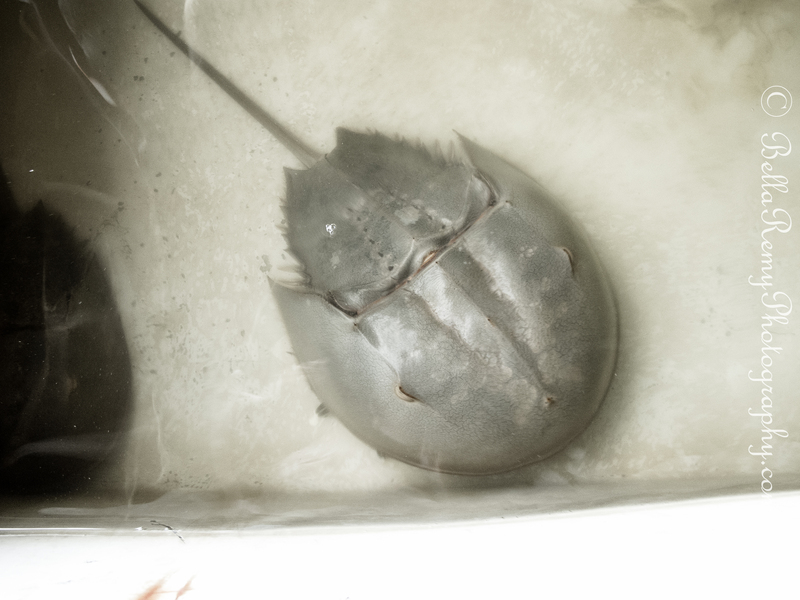 When I started reading about the horseshoe crabs last year, it was totally fascinating. Did you follow the story about the Red Knot bird too? That video on youtube is so interesting. Yummy…. enjoy your company and thank you for still managing to post beautiful photos. You made me smile. It’s this darned “Project 365” I have to ! I don’t back down from my commitments. It was tough while entertaining though. Wonderful visions of great delights from the sea! Beautiful photography – you managed to catch some gorgeous reflections. It’s not often that I get that kind of light on the river, so was very happy to be able to capture it. As a painter, you also understand how magical this type of light can be.